Why support your local trade association? This is a eye-opening awareness editorial about my being elected Regional Vice President of Region 3 to the National Barbecue Association. First let me begin by saying that I have been all about barbecue from the time I was born. I was born into barbecue because my dad being a Choctaw Indian from Idabel, Oklahoma loved his southern home cooking and his barbecue. I always knew my family was different because growing up when all the other families on our block were going out to eat, they were going out for pizza and burgers. When our family was going out to eat, my family was going out for ribs. We even had the first charcoal grill in our neighborhood. I finally realized my life's driving ambition when I opened Famous Dave's Rib Shack in the beautiful northwoods of Hayward, Wisconsin. Little did I know that my passion for creating the best barbecued ribs possible and the best southern foods would someday become a best loved family of barbecue restaurants that stretch from Washington DC to California. From Oregon down to Texas there are almost 200 Famous Dave's in the US and now our first international Famous Dave's opened up to lines wrapped around block in Winnipeg, Canada. So to say that I am passionate about barbecue is a complete understatement. I eat, drink, sleep all things barbecue. I am barbecue. Over 45 years, I have traveled the country eating at roadside smoke shacks or I have feasted on the best ribs possible that came from an old 55 gallon drum smoker tended by an old pitmaster that was set up on an empty parking lot on the west side of Chicago. I have eaten amazing smokey, juicy brisket from the big mesquite pits in Texas. I have gorged myself on chopped vinegary smoked pork in the Carolinas. I have even had the rare treat of fresh caught salmon that was smoked riverside on cedar planks by the tribes of the Northwest. I know every black owned mom & pop store front BBQ joint in Chicago, Memphis, and Kansas City. And I make yearly pilgrimages to the most hallowed bastions of barbecue in Memphis, Kansas City and Nashville. I have one of the largest collections of bottled barbecue sauces of anyone I know. Yes, I bleed barbecue. Now here's what I have to say about the National Barbecue Association... I think we need to thank all the countless volunteers over the years that have kept it going because there were times when this organization almost didn't make it but the NBBQA has survived and I am glad it has because I sincerely believe that we are all going to see it evolve into one of America's premier trade associations. I enjoyed this years conference. It was really enjoyable for me to hang out at night around all the big barbecue trailers while some of my pitmaster friends were having fun preparing all sorts of meats and even several whole hogs for the next day's presentations. Seeing all the pits smoking and folks enjoying telling late night war stories is memorable. If there was ever a reason to join the NBBQA it is what happens around the smoking pits late at night that makes membership so invaluable. I think one of the most memorable experiences at this years conference was just the generous outpouring of all in attendance to support OperationBarbecue Relief. There are so many folks who struggle after a major disaster and to see fellow pitmasters, barbecue pitmasters, and related vendors step up to provide warm meals to all the FEMA workers, Red Cross, Police Officers, First Responders, Fire Rescue, and all the hungry towns folk, makes me glad to be part of a group of barbecue lovers who generously give from the depths of their hearts and pocket books. With that being said, at my first board meeting held at this year's conference in Mobile, Alabama, I had to be honest with my fellow board members. I said, "Over the years, I have been a member and there were probably more years when I was not a member. Quite frankly I wasn't ever sure why I needed to be a member!" I was expecting faces of shock from my fellow board members but they seem to be nodding in agreement. They too have struggled to figure out how to attract more members and then keep them actively engaged in the NBBQA... so they don't drop out. Attracting new members is a problem. Retaining members is a problem. What I gathered is that this board realizes that things need to change if the NBBQA is going to attract tens of thousands of new members and have several thousand in attendance at a NBBQA National Convention. I believe our barbecue industry warrants this type of attendance. So what have I personally enjoyed about being a member of the National Barbecue Association? I enjoy the friends I have made over the years. We are able to tell fun war stories about being on the BBQ competition circuit. We share experiences about opening up our BBQ restaurants. And over the years, there have been some terrific breakout sessions on catering, whole hog preparation, the bus tours of local BBQ restaurants, and how to launch a winning competition BBQ team. All good reasons to join. However, are these things good reasons to join? ...maybe not. YOU NEED TO SUPPORT YOUR INDUSTRY'S TRADE ASSOCIATION! Number One: The trade association needs to be proactive regarding misperceptions about eating charred and smokey foods. Similar to the dairy industry's very active use of celebrity's milk mustaches when milk was being attacked that drinking milk maybe bad for your health. As concerns about health rise so will misguided folks who want to attack barbecue and grilled foods. We need to be proactive in making sure the right information about our industry is represented. Number Two: Cities are enacting local legislation that may prohibit a new barbecue restaurant from opening up because of misguided thoughts about the dangers of live fire smokers. The NBBQA needs to be strong enough to have a voice in all governmental and legislative actions that affect our industry. Number Three: Promotion of our barbecue industry. Did you know that when I started writing this editorial that I Googled Food Industry Trade Associations and I could not find the National Barbecue Association listed anywhere!!! First, I went to the top search finds and the first one that popped up was Food Trade Associations and Beverage Associations. Nothing about the NBBQA. Next, I went to the next Google listing which was identified as "The Comprehensive Directory For Food Trade Associations." You would think that in this Comprehensive Directory that for sure the National Barbecue Association would show up! But NO, Nothing, Nada, Zilch... Unless you have seen the NBBQA logo somewhere you would not know we exist! There are literally hundreds of trade associations that are related to the the world of grilled or barbecue foods but there is no listing in the trade associations for the National Barbecue Association. This has to change. When you see TV commercials for Wisconsin Cheeses, you know they probably spent more than the annual operating budget for the NBBQA. Or did you know that the Dairy Association spent $55 Million on all the celebrities wearing those milk mustaches. The barbecue/grilling industry I believe has to have a trade association that is bigger or should be just as big and as meaningful as any of these other food trade associations. Number Four: We need to be relevant to the end user. Right now the National Barbecue Association has not made an emotional connection to the end user. We need to connect to all the folks all over America who put anything that has been flame kissed, smoked, or grilled into their mouths. We need to connect to all the end users who buy grilling and smoking equipment. We need to connect to all the end users who buy ingredients, sauces, seasonings, or anything that creates a recipe for grilling, smoking, and yes, even baking... if people think what they are eating is barbecue... we need to figure out how the National Barbecue Association is relevant to this person. Number Five: We need to sponsor the World's Largest, Biggest, Baddest, BBQ Trade Show Ever! ...with 1000 vendors. Surely everyone can agree that there must be 1000 vendors who could display their product or services at a BBQ trade show? Just think of all the food manufacturers that make sauces, seasonings, and bbq meats. And then there are the meat producers, bbq equipment manufacturers and the whole beverage industry that supplies growing bbq restaurants.BBQ cookbook publishers, writers, TV show producers targeting the huge bbq eating public. The list could go on forever... point I am trying to make is that there should be no lack of vendors for the World's Largest, Biggest, Baddest, BBQ Trade Show Ever! In fact, when the NBBQA learns how to connect with the bbq eating public, there will be a waiting list of vendors begging to set up at this BBQ trade show. Currently our NBBQA has a tough time attracting vendors. The Famous Dave's Annual General Manager's Conference has a trade show of all our vendors that is bigger than the NBBQA... this is plain flat out wrong! Here's what needs to happen: we need to open our trade show up to the public and we need to back this up to a real rockin' old fashioned BBQ Bash! The biggest BBQ trade show and the biggest BBQ bash! There's no reason why our BBQ Trade Show shouldn't attract 250,000 paid people to attend. Just like the Sportman's Show, The Boat Show, The Home and Garden Show attract hundreds of thousands of visitors. This is doable. Everyone who is in the barbecue industry knows that the big rib fest in Reno attracts over 500,000 visitors. Memphis In May, The American Royal, Jack Daniel's World Championship Invitational all attract hundreds of thousands of people. So for the NBBQA to sponsor the The Worlds' Largest Biggest Baddest BBQ Tradeshow and The World's Largest BBQ Bash all at the same time is not only believable but it is doable! Why do I think the NBBQA needs to have the World's Largest, Biggest, Baddest, BBQ Trade Show? Because every house in America that has a backyard has a barbecue grill. People all over America love barbecue. Barbecue is part of America's heritage. It's what we do to celebrate. I believe that our trade show should not attract the biggest paid audiences but I also believe this would be a tremendous financial resource for the NBBQA becoming a legitimate trade association that should be as relevant and as big as the Dairy Association, the Pork Association, or the National Restaurant Association. This brings me to our next point. Number Six: We need to support the NBBQA because the time is right for us to grow into a legitimate trade association that has to have a paid executive team that helps us grow the barbecue industry. All of the things I mentioned here requires the full time effort of a full time staff. This is the right time to make this happen. The same way that the national Dairy Association was able to spend $55 Million to buy TV air time and ads placed in the top national magazines...the NBBQA needs to have this type of clout and this needs to come from the big vendors and food manufacturers that all have something to do with the barbecue industry. Again, I believe this will happen the moment the NBBQA figures out how to be relevant to the masses of people that put anything barbecue in their faces! I fully believe that the time is right for the National Barbecue Association to grow into it's rightful place as one of America's strongest trade associations. I don't know if this could have been accomplished several years ago, but I do know the time is now. For the first time we have some real celebrities that promote all things barbecue, folks like the legendary Pitmaster Myron Mixon, Bobby Flay, Guy Fieri, Sweet Baby Ray's Dave Raymond, Dr. BBQ Ray Lampe, Mike & Amy Mills, Brad Orrison, Adam Perry Lang, The Barbecue Bible's Steven Raichlen, and yes, there really is a Famous Dave. I believe that if we could get these folks to do guest celebrity appearances at our big trade show & bbq bash that would help get vendors to sign up and people paying to attend. Also, we are starting to see more media interest into the world of barbecue as more of the food TV networks are figuring out how to add barbecue or grilling shows to their lineups. The Food Network, The Travel Channel, The Discovery Channel, Destination America, Bravo have all added features or cooking challenges that feature smoked or grilled recipes, BBQ restaurants, or legendary food manufacturers that make barbecue related products. These last few years we have also seen an unprecedented rise in big food chains like Subway, McDonald's, Burger King, and others that have added barbecue menu items. I believe in years to come, more big restaurant companies will add more and more bbq items to their menus. Already BBQ Pulled Pork sandwiches are rivaling the hamburger for the most ordered sandwich on any restaurant's menu. I believe this current Board of Directors understands that we have an unprecedented opportunity to grow the National Barbecue Association into a very meaningful trade association. 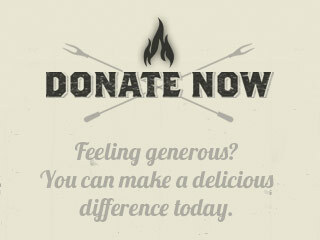 We have a great group of folks who are all passionate about the world of barbecue. As founder of Famous Dave's, at our next GM's Conference, I plan on encouraging all our Franchise partners to join the NBBQA and to come to the next NBBQA conference. I will also encourage our franchise partners to increase their barbecue knowledge by taking some of the really terrific pitmaster classes that are being held throughout the year. 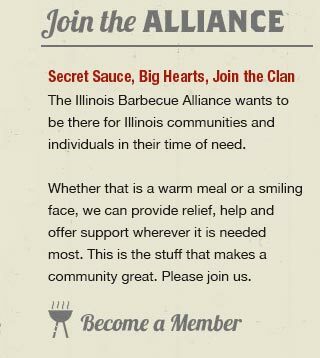 I am going to encourage them to sign up and join all the related barbecue associations in their area and to make sure they get their publications. I also am going to encourage them to attend KCBS sanctioned competitions and even compete! Next, I am going to make passionate pleas to every vendor I know, to share the importance of supporting our barbecue industry's trade association the NBBQA and how important it is for them to support our vendor trade show. Finally, I am going to share with every mom and pop barbecue joint that I know or visit...why it's important for them to join the NBBQA...and I visit a lot of mom and pop bbq joints every year! There should be no doubt in anyone's mind that I support the NBBQA and there should no doubt why they need to join and get involved.